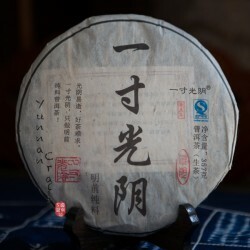 Crafted tea by Yunnan farmers or small manufacturers. or processing fermentation by their own recepies and therefore creating the tea with unique flavor. Hand made Yunnan pottery or pottery from other provinces. Pottery from masters or small manufacturers which produces each piece as unique original. Producers There are 193 products. Big or semi-large tea factories are listed here. Crafted tea by tea vendors. or processing fermentation by their own recepies and therefore creating the tea with unique flavour. Tea straight from the farmers . Masters of pottery , calligraphy or art. People with skill and many ears of experience with their craft. The spring tea material from arbor trees of Ba Da mountain processed in Zhang Lang village and later stone pressed into the cake by stone. Tea soup liqueur has very strong smoky scent , very slowly graduating but long lasting "hui gan". 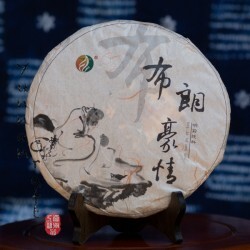 The spring tea material from arbor trees of Ba Da mountain processed in Man Pa Le village and stone pressed into the cake . Tea soup liqueur has touch of tropical fruits & and flowers. Within the first infusion you will experience immediate and very intensive "hui gan". Spring arbor tea leafs from Bulang mountain hard pressed into the cake in Man Xin Long village by small local tea manufacturer in 2012. 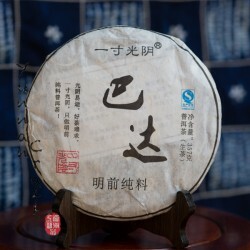 Clean tea liquor with slight notes or roasted nuts is gentle bitter from beginning , then turns to pleasant sweet aftertaste "hui gan". Overall warming session with individual "qi" potential. Spring tea leafs of arbor trees from Yi Wu mountain processed traditional way in small village Xin Fa located around 1300 m.alt. 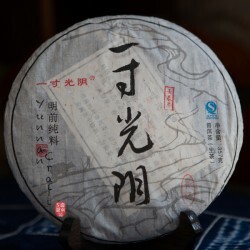 Medium pressed tea cake gives slight bitter but long and sweet aftertaste with floral scent. 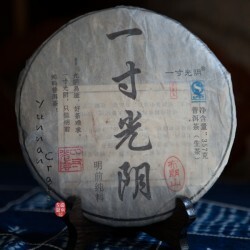 Arbor tree tea material from Bada mountain in Menghai, processed in Zhang Lang village and medium pressed into the cake. Honey fragrance tea soup has a sweet beginning with slight bitter end. There is a also bit of astringency sensation after few steps but followed with sweet mouth feel after. "Hei Ma" - black horse. 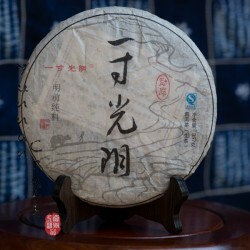 Spring tea material from arbor trees of Bu Lang mountain and processed in Man Nuo village and pressed by stone. Clean tea soup has a honey scent and sweet taste with noticeable "hui gan".